As it might be obvious in its name, the Moose-Wilson Road connects the small towns of Moose and Wilson, Wyoming. But this isn't just any road. The road twists and turns through the south east corner of Grand Teton National Park, offering great wildlife viewing areas. Why should I drive the Moose-Wilson Road? Stop at Teton Village and take a scenic ride up the Tram to enjoy views overlooking the valley and beyond. Then continue north and enjoy a unique glimpse into the southwest corner of Grand Teton National Park. Stop by the Rockefeller Preserve for an interpretive center, hiking trails, and ranger programs. 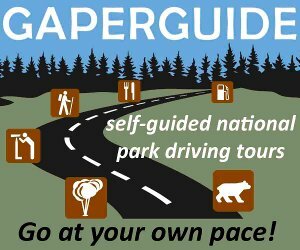 If you want to venture out on your own, park at the Death Canyon Trailhead and hike to Phelps Lake. There is a set of small ponds along the road which are great for viewing wildlife (a couple of moose typically hang out here). The Moose-Wilson Road accesses Teton Village and the Jackson Hole Mountain Resort. If you love to ski, you'll end up on this road sooner or later. The road closes in the winter months between Teton Village and Death Canyon Trailhead. Where does Moose-Wilson Road begin and end? From Jackson head west on WY-22. On the west side of the Snake River, turn right (north) onto Hwy 390/Moose-Wilson Road and follow it all the way to Teton Village, into Grand Teton National Park, and into Moose. The main park visitor center is located in Moose. During the winter months the road only goes as far as Teton Village. 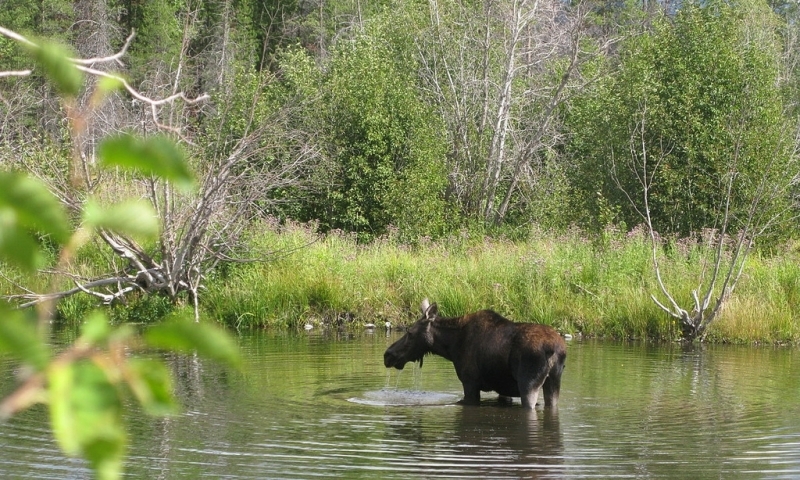 Note that on occasion, the Moose-Wilson Road between Teton Village and Moose will close to protect wildlife habitat. To drive without stopping from Wilson to Moose takes about 45 minutes.